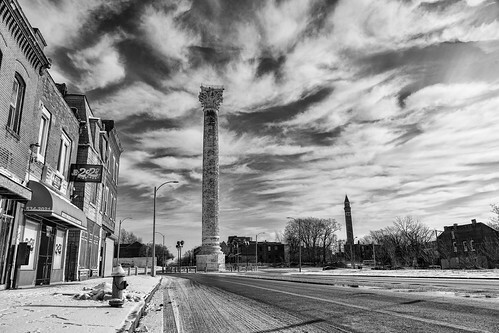 Here is a shot of the Grand Avenue and Bissell Water towers in north St. Louis. The Grand Avenue tower (closest in the photo) is the tallest free-standing Corinthian column in the world. It and the Bissell are standpipe water towers. Only seven of these water towers remain standing in the United States, three of which are in St. Louis. The third is the Compton Hill tower. They are beautiful structures and hopefully the city finds a way to preserve them. Saturday afternoon I joined some local photographers down at the newly renovated Soldiers Memorial in downtown St. Louis. 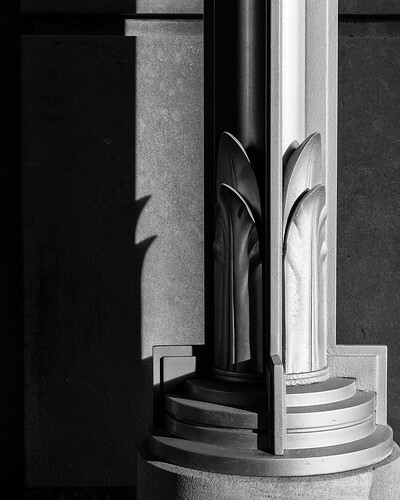 As we were walking around photographing I noticed the light hitting this art deco lamp post. I loved how the shadows were coming off the post. 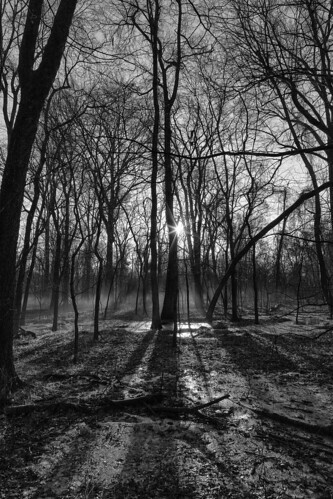 Sunrise at Cahokia Mounds State Park in B&W.